Fornasetti.com C’est la revolution! The naiveté of Marianne, child of the French Revolution, inspired a new Fornasetti decor. Her stern stare will capture the hearts of French conoisseurs, in view of the upcoming exposition. 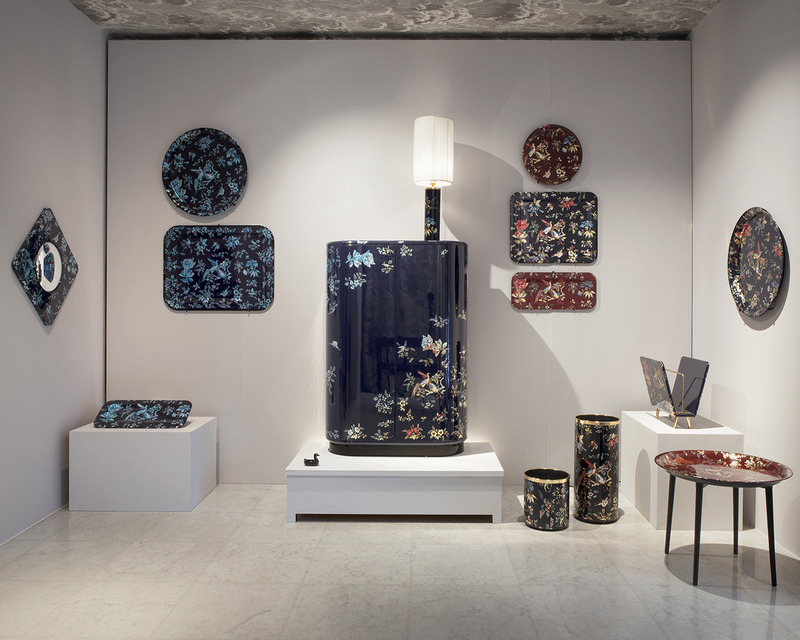 The new ‘Coromandel’ collection of furniture and accessories, a tribute to the themes inspired by nature and exoticism, will be launched tonight at the Fornasetti Store. 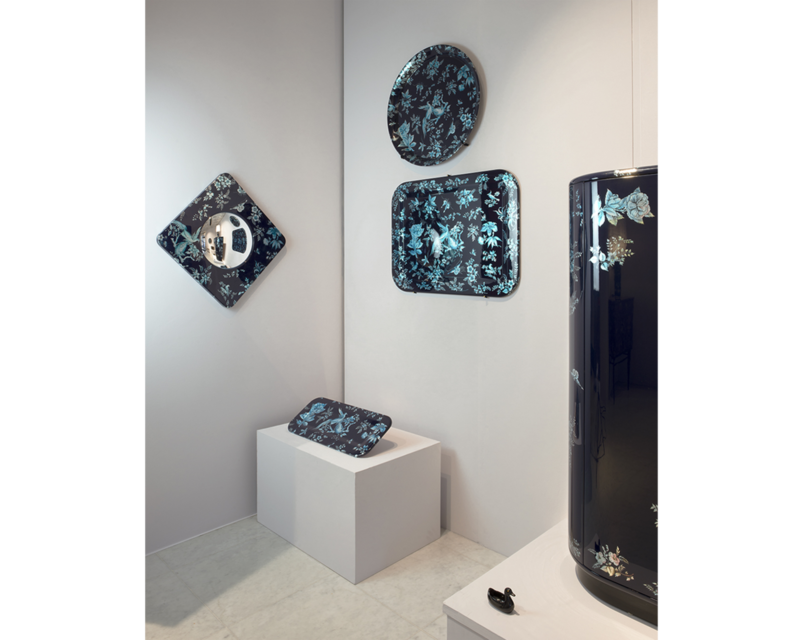 The “Coromandel” decoration was first designed by Piero Fornasetti in the 1950s for a project in collaboration with Gio Ponti and has been revived today in the capsule collection by Barnaba Fornasetti, where the particualar briliance of colors, all traditionally hand-painted on silver leaf, stands out. 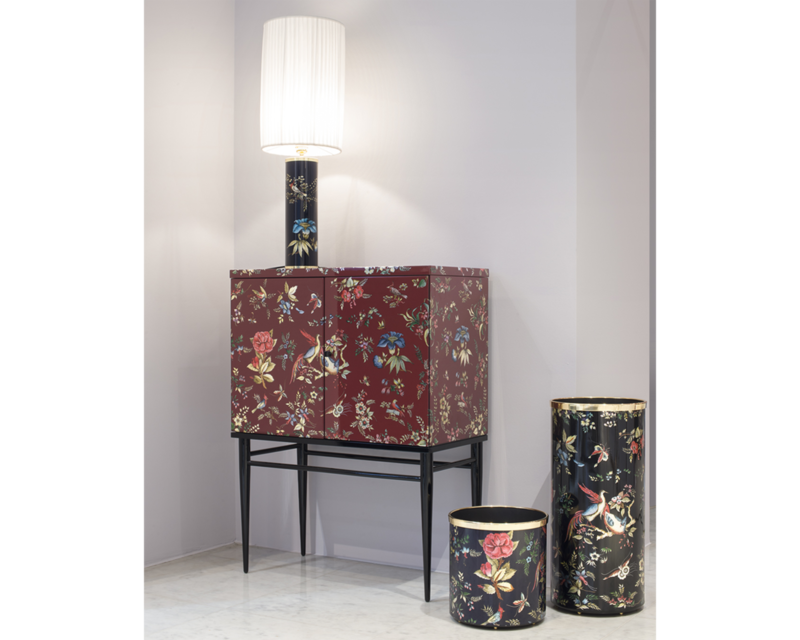 The collection features a desk, a lamp, a chest of drawers, a magazine rack, a chair, trays of different shapes and sizes and a unique piece signed by Barnaba Fornasetti himself, in a creative reinterpretation of the theme.